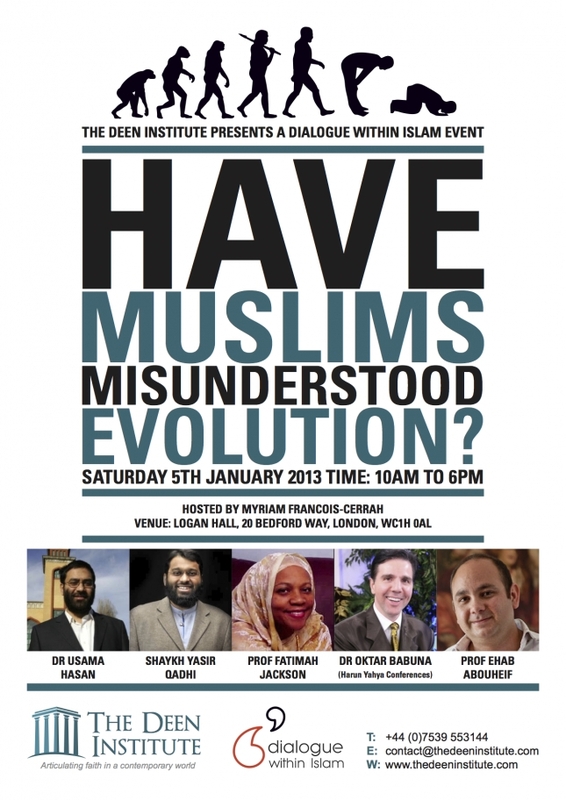 I will be attending a debate on Evolution and Islam in London this week. It is being organized by Deen Institute. I had an earlier post about some of the controversy surrounding the event. You can find more information about the event here. I am also interested in finding out more about the reaction to the debate. Sometimes stories get overblown in the media, and I'm trying to properly gauge the reaction to this debate. If you know of any Muslim students (in particular from Imperial College or UCL) who wants to chat about the event, drop me a line here or send me an email. Thanks! Lets see how the event goes. I will have a post on the event from London.